As search engine optimization evolves at an ever quickening pace, more and more bloggers, website developers and content creators have had to find new ways in which they can promote their content and pages to search engine users and be discovered. As more and more people shift from traditional methods of search to new platforms – mobile and social media are two common ones – the landscape of search continues to change. Many of us have heard about social signals and their effects on SEO, but may not understand how to utilize them properly. 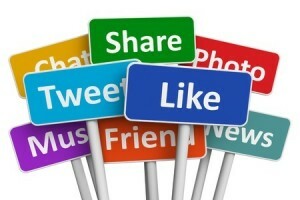 Below, we will outline a few ways in which you can optimize your site to convey these social signals. While social signals may not be pinging search engines in the same ways that traditional SEO tactics do, it has been shown that algorithms from major entities like Google are receptive to social signals and as such, can affect your SEO. Some of the most common forms of social signals include likes received on Facebook and other social media profiles for your brand or page, how many shares you receive on content published to the social media hub, the number of followers you currently have and the number of people who mention your brand in status updates and tweets. Content is not going to share itself – you need to have as many outlets as possible for your website’s content to be shared, in addition to the content that is regularly shared from social media. Sharing buttons are easily added to any website or blog and can be found for virtually every social media network in existence. These buttons can be used to provide ways for users to share this content to their social media profiles and with other users – even if they are not currently connected with your profiles. This also presents an opportunity for these users to discover your own online profile, which may translate into additional social signals if they engage with it further. There are hundreds of tools out there that can be used to display various sets of information about your social media profiles – does your website currently feature something similar? Without these tools, users may not be aware of your social media accounts. If you want to be pinging search engines with likes, shares and followers in order to boost social signals, then a widget that shares your social media presence is a great way to induce this trend. You can easily showcase each social media profile with smaller buttons, or include a widget for Facebook that displays a page’s updates or followers. Whatever the preference, connection buttons are a valuable part of building social signals for any website or blog. Last but not least, websites that do not currently have a blog in place are missing out on the benefits that social signals can provide. With a regularly-updated blog, the website in question will have consistently updated content that is being pinged to search engines, but this also presents a new opportunity for social sharing each time something is published. With your share and connect buttons already in place, a platform through which content is released periodically will only enhance the prevalence of your brand’s social signals. Are You Ignoring These SEO Friendly Tips and Methods?